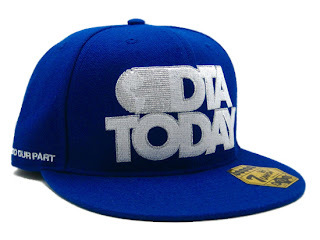 Rogue Status' DTA has teamed up with Japanese brand 7 Union for another fitted. Earlier in July they released the iconic DTA eagle black fitted. The two brands followed up that piece with this gem. 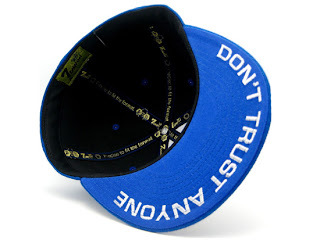 Inspired by USA Today logo this hat features the classic "Don't Trust Anyone" stitched on the under brim. Should hit the market shortly after the holidays.